Bittacomorpha clavipes (Phantom Crane Fly). Size: approx. 40 mm. Photo: 06/15/11, 10 am. 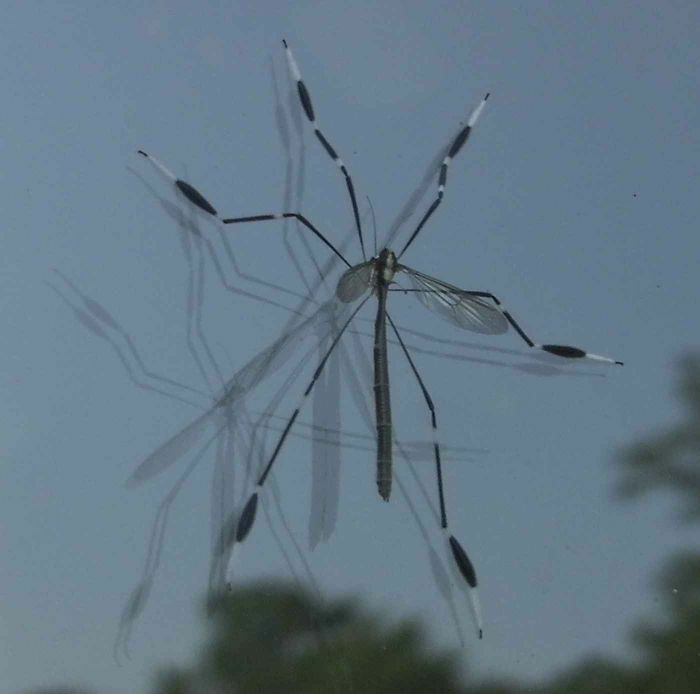 This is a crane fly (not a mosquito). It landed prominently on my window and I rushed out to take this picture. It's most likely a phantom crane fly (Bittacomorpha clavipes) since it has these black and white banded legs. They usually live in swampy areas as their larvae are aquatic.